It is the time of the year again! Christmas is in the air!~ Xmas Lighting is up. You can also start to hear Christmas Carols everywhere. The Season of Giving is here! You can start to see the shopping malls are more crowded than usual. 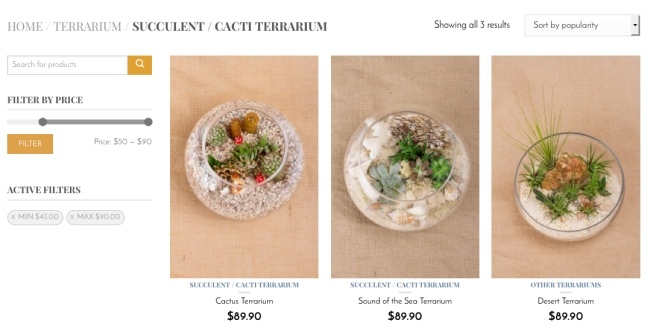 People are starting to shop for gifts for their family, friends, and colleagues. People cracking their heads to get the creative juice going. Some people might be too busy with work commitments as the year is drawing to an end. By the time, they leave their office, the shops are already closed. Online shopping becomes one of the great options. Let your fingers do the walking and you can do it in the comfort of your home and they are available 24 hours a day, 7 days a week for you. 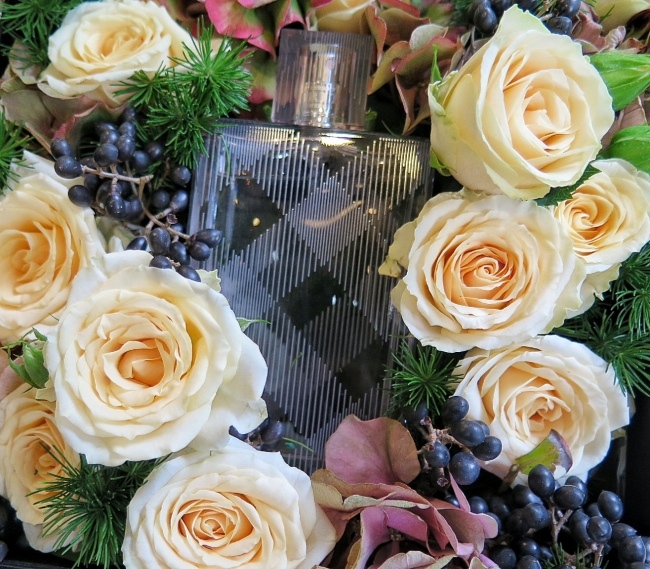 Many thanks to Floral Garage (floralgaragesg.com) for cheering my day with a lovely Floral Gift Box with a lively and romantic BURBERRY Brit Sheer fragrance. Floral Garage was founded in 2015. 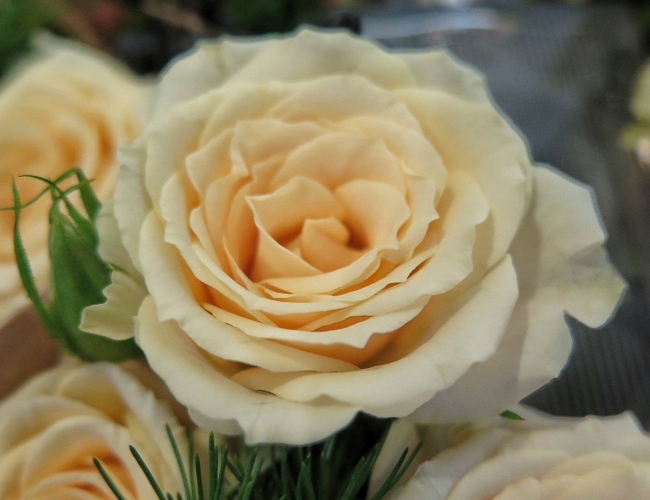 The Floral Garage team aspire to be able to cater to customers of all budget and preferences. 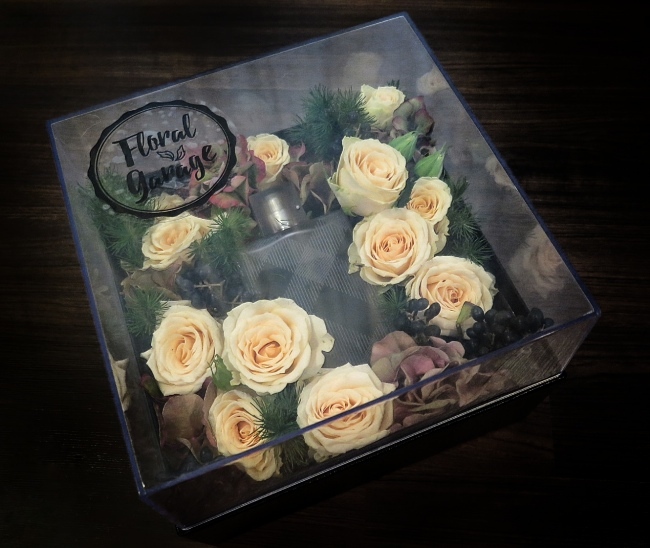 Floral Garage always welcomes Customisation based on customers' requirements. 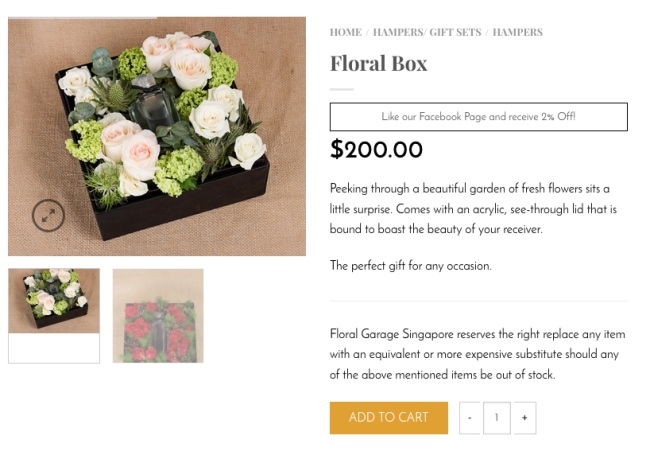 Customers can always contact Floral Garage and discuss on the customisation they want. If you saw a bouquet or arrangement you like, you can always take a picture and email/whatsapp the picture to them. They will review and accept the order if they are confident to fulfil it. 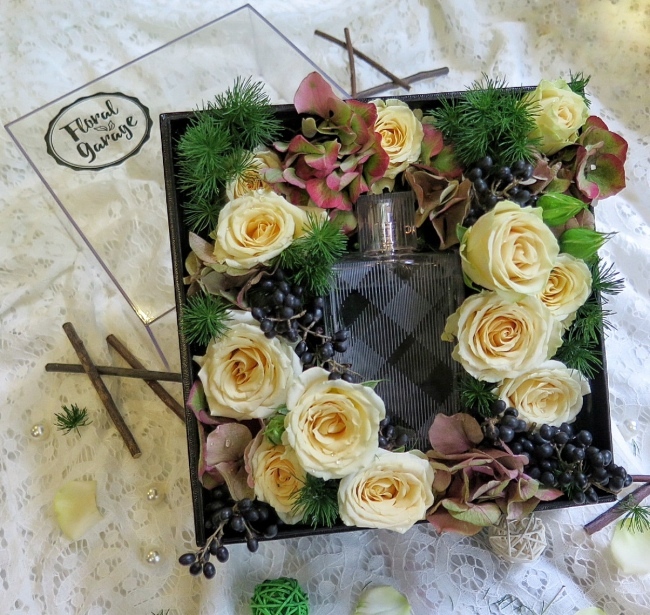 For the lovely floral gift box, they also plan to create a few variations for their christmas collection. The gift box will come with a perfume Burberry Brit or Gucci Guilty. 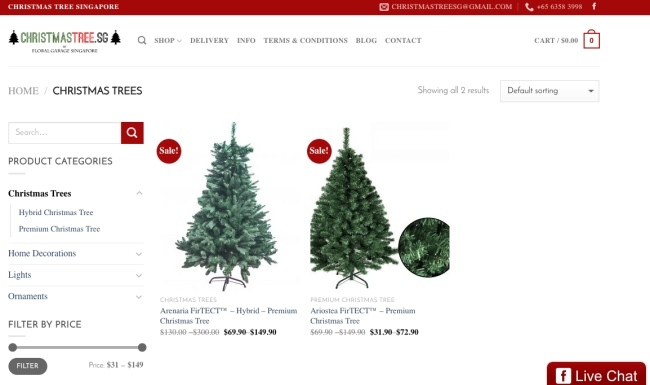 Floral Garage also has a subsidiary - Christmas Tree Singapore (christmastree.sg). 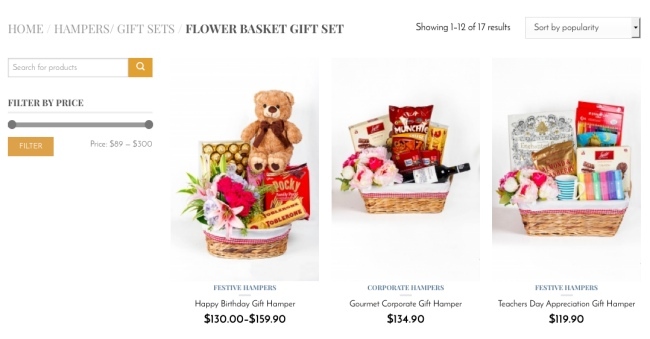 Floral Gift Box would be also one of the launches for Christmas! Christmas Tree Singapore is also having a 50% Off promotion for their trees till 1st December 2016! They have already sold 563 Trees as of 11 November 2016! 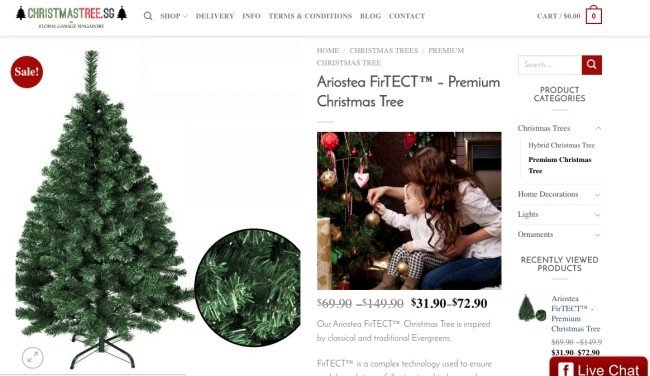 Their tree is constructed using FirTECT technology. Their trees are designed to have an abundantly dense foliage. Each tree is also allocated with a generous amount of branches (E.g. 1.5m Arenaria tree is allocated with 800 branches) to ensure added depth and beauty. 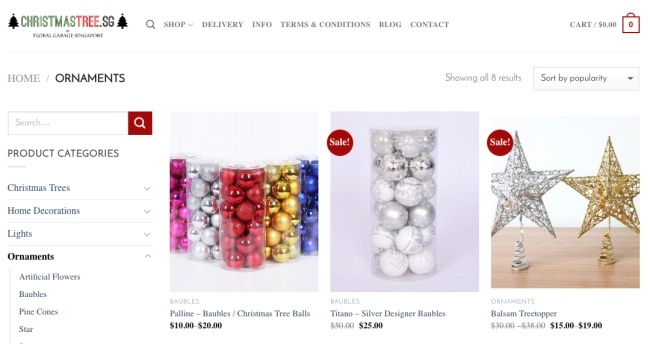 They also sell Christmas Decorations like Baubles ... Lightings ... Christmas Wreath ... Christmas Stocking. I always love a beautifully decorated Christmas Tree. Above information is for reference only. Please always contact Floral Garage (floralgaragesg.com) or Christmas Tree Singapore (christmastree.sg) for latest details.